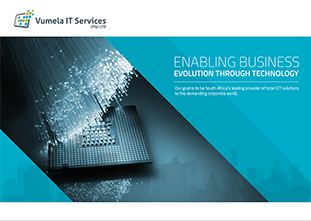 Vumela IT Services - The best IT solution for your business. We also configure and manage wireless networks for maximum reliability and performance. The right suite of applications to support your business can make a huge impact on productivity and customer service. Let us assist your business to streamline operations to become more responsive and improve the bottom line. Whether you choose to host your business critical applications in-house or in the cloud, we will be there every step of the way to ensure the most cost effective and appropriate solution for your business.